Need to see a dentist in Montevallo today? We may be able to help you. We are a state-of-the-art family dental practice that reserves time in our daily schedule to accommodate patients who need a same day appointment. This allows patients to squeeze in a general dental treatment when their work meeting suddenly got canceled or come in for a cracked tooth repair after an unexpected injury. 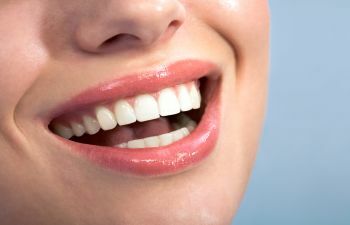 Whatever your smile needs, we do our best to maximize your convenience at every step of your care. At Montevallo Family Dentistry, we pride ourselves on our ability to treat all aspects of your smile under one roof. Dr. Shunnarah is a gentle and experienced dentist who performs general, restorative, cosmetic and implant dentistry. While we adopt the latest technology in modern dentistry, our practice is centered on patient comfort. Whether you are attending an appointment you’ve made months ago or coming in for a same day visit, our team extends compassionate and attentive care so that you feel like a member of our own family. Our same day dentistry services are available to both children and adults. We know your life is busy. From school and work commitments to social activities and sports, it is often difficult to make time for your family’s dental appointments. At Montevallo Family Dentistry, we want to remove that obstacle. If you need to schedule a last minute appointment, just give our office a call and we will make every effort to see you the same day. For some patients, it may be an emergency appointment to address severe tooth pain. For others, your same day appointment may be a chance to fit in your routine dental checkup or take advantage of a cosmetic procedure. Regardless of why you need us, you can depend on top quality care from the moment you walk through our doors. While we take these measures to ease your scheduling burdens, we also offer ways to alleviate your financial constraints. Our office accepts dental insurance and we offer flexible financing plans. At Montevallo Family Dentistry, we diligently pursue opportunities to make it easier for your family to receive dental care. If you or a member of your family would like to see Dr. Shunnarah today, please contact Montevallo Family Dentistry now to check our same day dentistry availability.